Do You Feel Frustrated With Your Guitar Playing? Tuned In Guitar Lessons is 100% dedicated to teaching Guitar Players only. This means all masterclasses, lessons, programs and training sessions are specifically designed for Guitar Mastery. If you want to guarantee your success on the guitar, this is the place to do it. Many people feel frustrated about learning the guitar. Where to begin is often the hardest part of learning. This is where my guitar training is going to benefit you the most. The difference between making fast progress or staying stagnant in your current situation all comes down to proper results orientated training. I love helping my students reach their goals and I am here to help you too! I will provide you ALL the resources, instruction and training needed to reach your goals. Then I will show you how to apply & integrate what you have learned, and together we will watch your guitar playing soar to the next level. Having a highly trained and motivated guitar instructor WILL drastically increase your guitar playing abilities and guarantee your success! 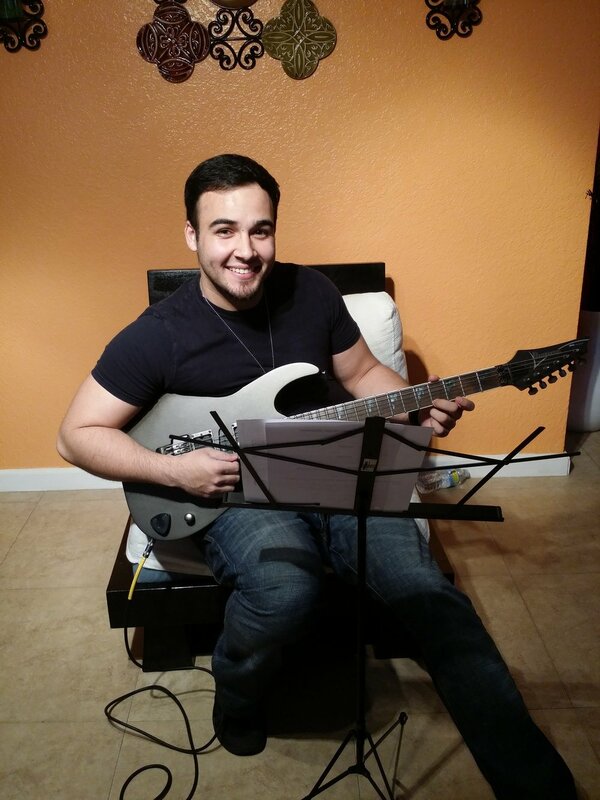 Tuned In Guitar Lessons is located in Kendall, FL 33183 and is going to help you massively! CLICK HERE TO BOOK A FREE INTRODUCTORY GUITAR LESSON! Please Fill Out Your Contact Information And The Instructor Will Call You Shortly To Schedule Your Free Introductory Guitar Lesson! Please Tell Me About Yourself. What Styles Of Music Do You Enjoy? What Are 3 Bands You Enjoy? Please add any questions for the instructor below. Thank you! What Are Your Current Guitar Playing Problems/Struggles That You Are Looking To Overcome? Congratulations! You have just made a very positive commitment in advancing your guitar playing. Please read EVERY word on the next page. Check your spam folder in case my e-mail response doesn't make it to you! I am fully invested in YOUR success, and will train you to ensure you reach ALL of your goals. 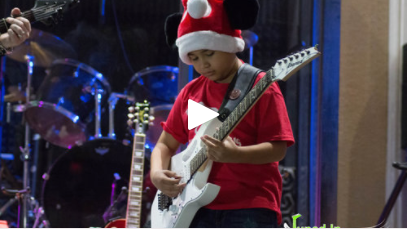 Music is a life long growing experience, and no matter whether you are just starting out or have been playing for years, if you have the willingness, passion & determination to begin the awesome journey to becoming a guitar player, then I am ready to begin my relationship with you as my student. My promise to you is that I WILL dedicate 100% into your success as your mentor and instructor and will drive you to YOUR goals. 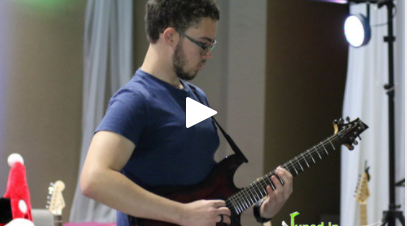 If you live near Miami, FL 33183, contact me today to set up your FREE INTRODUCTORY GUITAR LESSON and become the guitar player you deserve to be! Here Are Several Benefits You Will Receive! You will have a blast learning! You will be motivated and inspired. You will know exactly what to practice. You will learn how to Improvise and Solo! You will learn how to master and control the fretboard! You will no longer with feel overwhelmed and clueless about what the next step is you need to take. You will be 100% sure that you are learning the correct technique, which will give you FAST results. 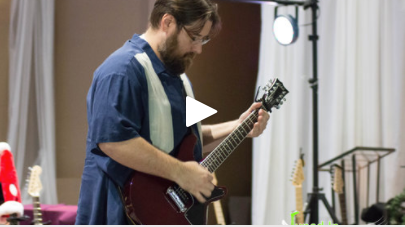 You will learn how to play the guitar much faster and efficiently than the standard (and boring) teaching methods currently used by other guitar teachers. EVERYONE can learn how to play guitar - Your favorite guitarists went through the exact same struggles that you (and I) face! At Tuned In Guitar Lessons I will teach you exactly how to do ALL of this and more! But how do you know that my methods will be effective and you will learn, play and progress at levels you thought only the best players could achieve? The answer is quite simple. I have been trained and mentored in such a way that I only use techniques that have been tested, refined and proven to develop beginning, intermediate & advanced guitar players at explosive speeds. This means you will be trained by me using innovative learning techniques so secret that I can't even disclose them on this page. These are techniques that no other teacherin your area is using, period. Your guitar lessons will be highly motivational and guaranteed to keep your fire burning, keep you intrigued and keep you focused on your goals. I am confident that I can help you cut your learning time in half or more! "Plush" Stone Temple Pilots played by Roger B. You will break out of the fear of playing in front of others! You will learn through hearing questions from other students and seeing how others learn & apply differnt material! 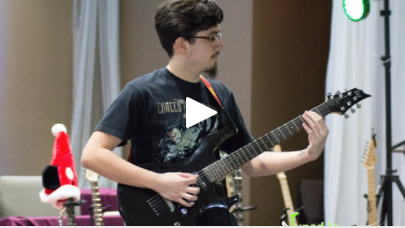 You will learn how to use Phrasing, Bending, Slides, Hammer-Ons, Pull-Offs, Scale Sequencing, Sweep Arpeggios, Legato, Alternate Picking, Directional Picking and much more in your solos and improvisation! You will learn how to compose Modal Chord Progressions! You will build confidence in your improvisation and soloing techniques! You get a well rounded overview of topics covered through many different learning methods! You get highly motivational support & will make friends that play music! You get to begin implementing everything you have learned into REAL playing situations! There is sooo much packed into my programs that I can't put it all on this page without filling up every space! It's time to start this incredible musical journey! I'm here to guide you and help you reach your goals! Congratulations! You have just made a very positive commitment in advancing your guitar playing. Please read EVERY word on the next page. Check your spam folder in case an e-mail response gets thrown in there! If you have ANY doubts in your mind about whether or not you have the ability to actually learn the guitar, let me explain something. I was just like you in the beginning (and so are many others). I had doubts about my own abilities, and the truth is I struggled for a very long time trying to decide if I had what it takes to learn the guitar. In all honesty I went through 2 years of frustration, fear and self doubt before picking up a guitar. But it doesn't have to be that way for you. Why am I telling you this? Because I want you to understand that I am here to help you. I am giving you a FREE ticket to come and see for yourself that YOU really can play the guitar. Success begins in your mind and though playing the guitar seems like only a physical activity, it is actually your mentality which might prevent you from succeeding far more than your physical abilities. I guarantee that before you leave your FREE Introductory Guitar Lesson, I will have proven to YOU 100% that you can learn the guitar. You will feel so inspired, convinced and motivated that every doubt you may have felt before will suddenly vanish. WHY GIVE A FREE GUITAR LESSON? You will have a chance to meet me on a personal level before ever needing to spend a dime! You will learn exactly how I teach and the methods I use! Because I believe in my teaching methods 100% and want to give you a free chance to give it a try! "I've always wanted to learn how to play guitar. I feel fortunate that I chose Rich to be the teacher that helped me reach my dreams. Rich really enjoys guitar, but he enjoys teaching just as much. Difficult to go wrong if you want to learn guitar--Rich is the man. PS I just love that photo with the guitar over his shoulder (that's why I took one like him). Stick around and soon enough, you will be the one with the confidence to be pictured with your own guitar over your shoulder!" "Richard has helped me develop my songwriting and improvisation techniques. Before I found him, I would struggle to create my own riffs and melodies. Now I have no trouble being creative with my music." "It's been great having Rich as my teacher. I've been learning much faster than I imagined and look forward to every lesson! I would definitely recommend Rich to my friends!" "Richard really helped me get the hang of playing the guitar. When I came to him I couldn't play anything, I just bought my guitar. After a few lessons I could already see improvements and am sure I found the right teacher." "Rich is an amazing guitar teacher. I had zero knowledge of music, but 40 years of desire, and he was able to channel my inner rock god. If I had to say why, the reason is twofold. First, he loves what he does. It isn't about him showing off. He actually lights up and smiles when you 'get' a piece right. Second, and more important, his lessons just make sense. They follow a very natural progression which mixes strumming and single string playing equally. Always challenging your muscles and coordination. I've learned a ton from him!" 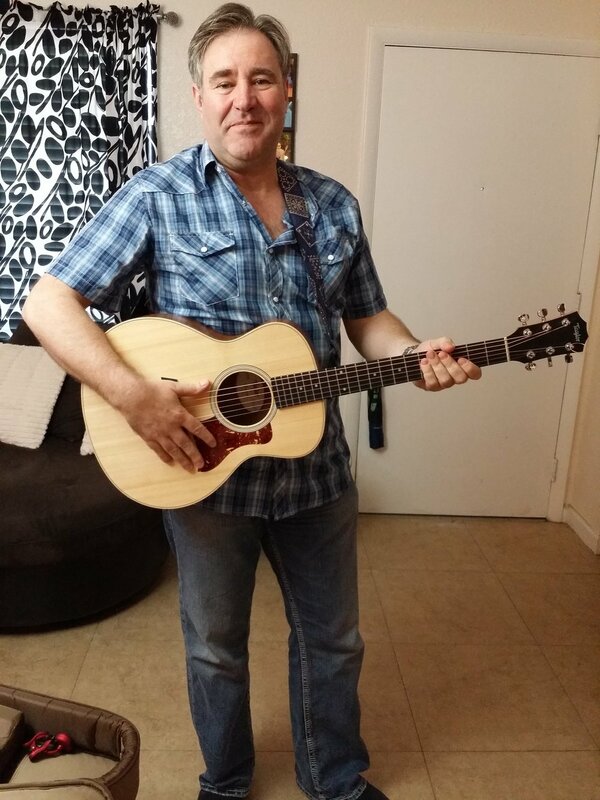 "Richard has taken my guitar playing to a level that I was never able to reach before.I find myself improving steadily on a weekly basis and I'm enjoying practicing and playing like never before. I played my guitar 90% of the day today. I would highly recommend Richard to anyone who is really serious about learning to play the guitar. He is a professional and you will learn to play if you practice and put forth the effort." "Richard is a very good teacher and all around good guy. Thanks for the lessons. For an older student you made me very comfortable learning something new and lots fun. You tailored lessons to help me improve in areas where it was needed." "Richard is very patient and has been a huge help. He's always available to answer questions and has helped me start learning and making progress." "I thought I was a good guitarist until I began to excel at the guitar after only a few lessons. Richard is thorough and has taught me the perfect things to help me continue learning. I look forward to every time we meet. Thanks brother and God bless!!" "Rich really takes each of his students' individual needs into account. He doesn't just hand out the same lessons to each student. I signed up for his group lesson and that has been a really cool experience. All of us in the group are around the same skill level and we all benefit by watching each other play. I would definitely recommend Rich to anyone looking for something different in a guitar teacher." "Great teacher with a lot of passion. The most important part about the way he teaches is the system he has set up for people to follow towards their goal. Definitely recommend to anyone looking to take guitar lessons if you're willing to put in the work." "Rich is the best guitar teacher I have known. Lessons are a lot of fun and I am learning fast!" "Taking lessons with Richard has been extremely rewarding and fun. I often surprised myself when I was able to play things I originally thought I'd never be able to play. I learned Beyonce "Smash Into You" and it was pretty awesome!" "Learning the guitar has been a TON of fun. It helps me really escape from school work and gives me something challenging to do. I love Nirvana and Rich started showing me some of their songs and I'm actually playing them." "Guitar has always been a dream for me. I started at a late age, but Richard's patience and willingness to keep me motivated has encouraged me to keep pushing myself. I've learned how to set manageable goals and reach them. Thanks Rich!"